Last weekend I went to the Ben Avery range, which is located a bit north of Phoenix. For the price of $7, I was afforded access to one of the crown jewels of shooting ranges. 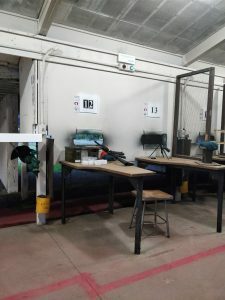 The main rifle range has 67 firing positions, and allows any firearms (including full-auto, which several people were shooting that day) with caliber restrictions on the .416 Barrett, .50 BMG, tracers (fire risk), and AP. The main range has target positions from 5 yards to 200 yards, with other ranges including excellent shotgun facilities and a 1000 yard range, not to mention archery facilities. Each firing position has a sturdy, stable concrete table and steel-and-wood seats that are well-maintained, sturdy, and comfortable. There’s a screen between each position that prevents shooters from being struck with brass from the neighboring positions. Every aspect of the main public range was well-maintained, in good repair, and modern. There’s a substantial number of attentive, well-trained safety officers that routinely walk the line, check that guns are cleared during cease-fires, and answer questions. I was extremely impressed by the safety officer’s professionalism; in my experience it’s not uncommon for RSOs to be somewhat curmudgeonly, old-fashioned (“Why do you need an ‘assault rifle’?”), and the like, but the Ben Avery staff was excellent. Even the cashier (they take Visa and MasterCard, in addition to cash) was polite, cheery, and professional. There’s a hot dog and drink vendor in the parking lot, right near the grassy field and playground for children. While I was there, I was also impressed by the extreme diversity of people there. The staff was a mix of men and women of all types, both old and young, and the shooters included a mix of just about every conceivable group: men and women of every skin color, age group, size, shape, and experience level were there. There were women in their 20s who were training with expensive match rifles, a grandfather teaching his grandson to shoot a .22 rifle, a middle-aged black couple shooting what looked like a matched pair of revolvers, a couple who looked to be in their early 30s shooting a suppressed .308 rifle, and some folks shooting full-auto at the extreme end of the range. I overheard several languages being spoken. In the parking lot, vehicles ranged from pickups to Priuses. Open carry was common, but by no means ubiquitous. Truly, a cross-section of humanity, all coming together for a fun, safe afternoon at the range. I’ve written about a few ranges in the past, many of which were well-equipped and praiseworthy, but I’ve never been as impressed with a range than I was with Ben Avery. The Arizona Department of Game and Fish runs a fine range, and I’m glad such a place is not terribly far from where I live. Like the Swiss, Arizonans take shooting seriously. One of the best experiences of the day was being (politely and cheerily) told to “please take a number and we’ll call you when a lane opens up” — even with the economy not doing so hot, there’s evidently enough people interested in shooting that they’ll take the time and resources to head out to the range that there’s a waiting list to get in, even with 67 public firing positions. Truly, this is why we win. In addition to being so massively impressed with the range, I also got some shooting done. I re-zeroed one of my ARs for a new ammo and was shooting some targets at 25 and 100 yards. 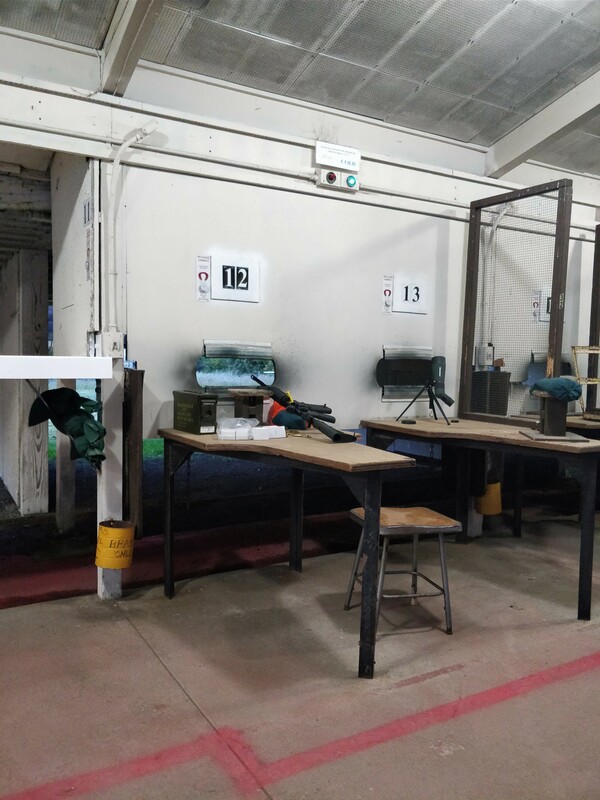 While the rifle is as accurate as ever, I’m woefully out of practice and my groups were embarrassingly large, especially considering I was shooting from a bench. I really should go to an Appleseed shoot at some time. Anyone in the Phoenix area want to go shooting on a semi-regular basis?